My 2017 has brought me so many new experiences, opportunities, friends & achievements. This post is going to be a quick round up of my favourite & most treasured memories from the last 12 months. Before I start, (in case you don’t want to read my ramblings) I just want to say a huge thank you to every single person that has encouraged and supported me on my journey to becoming a crochet designer. If you’ve watched a YouTube Video, read a blog post or liked a photo on Instagram, whether you’ve liked one of my patterns on Ravelry, subscribed or followed; I am so extremely grateful and feel incredibly lucky to be part of such a loving and kind online community. Thank you, and I wish you all the best for 2018. I hope all your dreams come true! January seemed to be full of baths! (I bought the Lush advent Calendar half price on Boxing day) and seemed to get itno the habit of having a luxury bath each week. I also worked on the Moorland Blanket CAL, and started to post my crochet on Instagram more than ever. February I made lots of amigurumi Rabbits using a Tracy Coldwell design from Simply Crochet Magazine. I made one, then it seemed like everyone wanted one. I personalised them by embroidering initials onto their feet. I also managed to win a prize from Simply Crochet Magazine by using the hashtag #SCtreblemaker on a photo of a shawl I made using Elisabeth Davis De Herraiz‘s Cherry Sundae Shawl. This made me smile, as my New Year’s goal was to get a photo into the magazine. It just so happened that the photo was of a Shawl I started on New Year’s Day. March was a busy month for me and Katie; and very stressful. We worked tirelessly everyday and to be honest it was a low point of our 2017. It made us appreciate each other though and we are stronger. If not for the tough times, the good wouldn’t feel so good. There wasn’t much time for Crochet and I became behind on my Moorland CAL. April is my Birthday month and Katie had bought me surprise tickets to see Disney on Ice! It was wonderful & I would definitely go and see it again. (I really am just a toddler in an adult’s body) We moved house, and the weather started to change… Finally. I do love a bit of Sun! Apart from this, nothing else really happened; and there still wasn’t time to crochet, although I did gain a craft room, and finally started to sort through the craft materials I inherited from Gran. Nothing much happened in May. June is always a month in which I remember my Gran, as it holds both the anniversary of her death, her Birthday and her name. This year (2017) I planted wild flower seeds all over her grave so that in the Spring and Summer it creates a small Wildflower garden for the Birds, Bees and Butterflies. In June I decided that I wanted to become a crochet designer. I had thought this for over a year but kept pushing the urge aside and letting negative thoughts swallow the idea down. I talked to Katie and I made the decision to start putting time aside to work on designs. Katie’s Uncle got married which was lovely. In July I had an admission in hospital and had a laparoscopy & appendectomy. I had been in pain for quite a while had various other health issues which turned out to be Ovarian cysts; and a complete coincidence but my Appendix was also inflamed. This discovery lead to me feeling so much better and being able to enjoy life again without pain (it was starting to affect my day to day life). I also finished the Moorland Blanket for Katie, who loves that she has her own crocheted blanket. In August it was Katie’s Birthday and I surprised her with an overnight stay at The Titanic Hotel in Liverpool. We went out for a meal and drinks, and it was just so nice to have a ‘mini break’. We also got engaged in August! Katie finally proposed and I couldn’t be happier. We have a venue and registrar booked and now we have to plan the rest of the wedding. I also published my first blog post and first crochet pattern… the Trinity Stitch Dish Cloth. I also published my first YouTube Video and got an incredible reaction and support from the online Crochet community. Clarisabeth gave me a shout out on her YouTube channel Crochetcakes and I literally couldn’t stop smiling for days. August seemed to be a turning point for me, and my happiness. 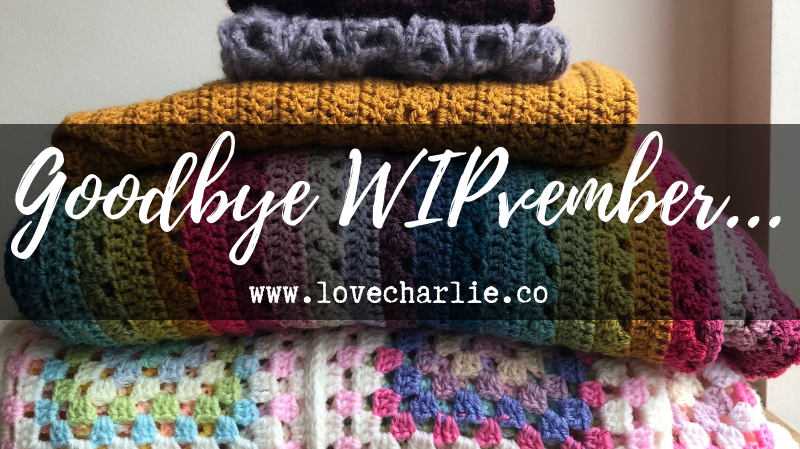 I finally made steps in the right direction to pursuing my dreams of becoming a crochet designer and very decision I made for ‘Love Charlie’ made me happier and just felt ‘right’. 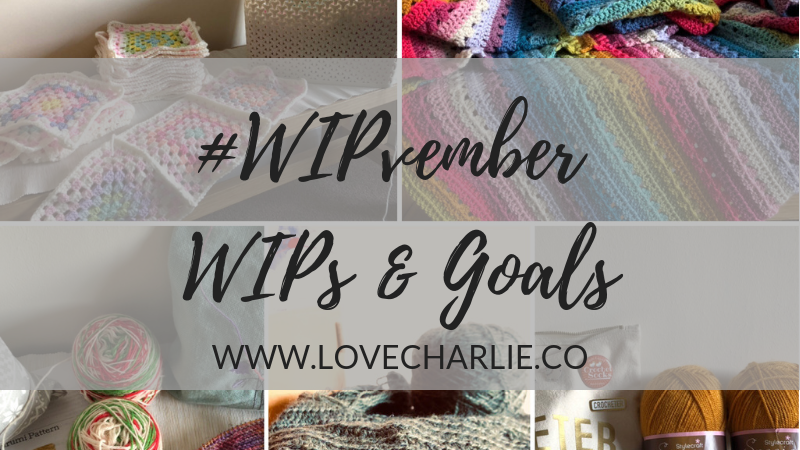 In September, I had a WIP-Ban and worked on specific projects. This helped me to finish things that I needed to and helped trigger list-making for my crafting. I also met Fay from the Crochet Circle Podcast & I also went to Yarndale for the first time (with Fay.) I can’t explain how grateful I am and lucky to be able to say I know a person like Fay. She is incredibly kindhearted and full of knowledge. To say she has helped me would be an understatement! I also participated in Hannah’s (Thecozycottagecrochet) September Shawl-along. I also attended Woolgathering Sandbach for the first time and met lots of beautifully talented knitters, crocheters and sewers. It is so nice to have found ‘my people’. 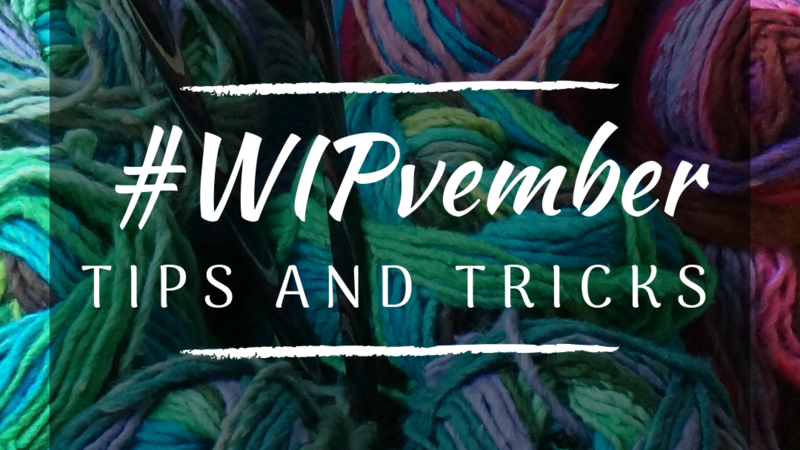 In October I co-hosted a WIP-along with Laura from GoslingandPlumb. We called it the #AutumnWIPalong and it was fantastic. 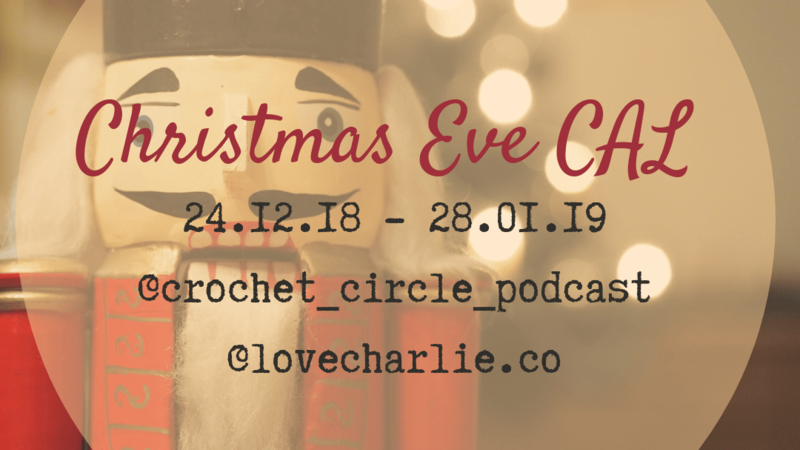 So many online crocheters & knitters (and embroiderers) joined and encouraged each other. There was so much kindness and motivation, people who had never met cheering each other on. It was so heartwarming. I also went to London and made some new crafty friends. Flic, Helen & Corrine. I am grateful once again for Fay introducing me to these lovely, very talented ladies who share the same love for craft as myself. In November, I finished my Cocoon Cardigan that I started for the #AutumnWAL17. It is my first ever crocheted garment and it is very nice and slouchy, and perfect for snuggling under and chilling. It is a free pattern on Ravelry by Alexandra Tavel called the Movie Night Cocoon Cardigan. Click here for Pattern. I also enjoyed watching’ I’m a Celebrity’… and dying yarn for #FridayisDyeDay using icing colourants. I was absolutely amazed with the results and have since crocheted both up. One was a DK weight and the other Sock weight which I bought from Laxtons at Yarndale. I also made a couple of commissions; a crocheted shawl and two sloths. December has been a whirlwind. I decided to do Blogmas, with the aim of uploading every other day and publishing some free patterns and tutorials. Blogmas has been challenging but great! I have pushed myself and am very happy with how productive I’ve been. Christmas was lovely! I was spoiled rotten and am very lucky to have a family that appreciate and enable my love of yarn. I’m also co-hosting the #OneSkeinWonderlandCAL with Fay of the Crochet Circle Podcast, which encourages you guys to use up that treasured (or impulse bought) single skein of yarn with the aim of showing Knitters and Crocheters what beautiful projects can be made with only 100g of yarn. This way, next time you have a special skein; you can start right away without worrying about finding the perfect pattern. There we go, in a nutshell, my 2017 was like a roller-coaster. I think that August was my favourite month. (Of course because I got engaged!) Hahaa, but it also triggered a lot of ‘firsts’ for me. August changed who I am and I plucked up courage from somewhere to start this blog and my YouTube channel and really commit to my aspirations. 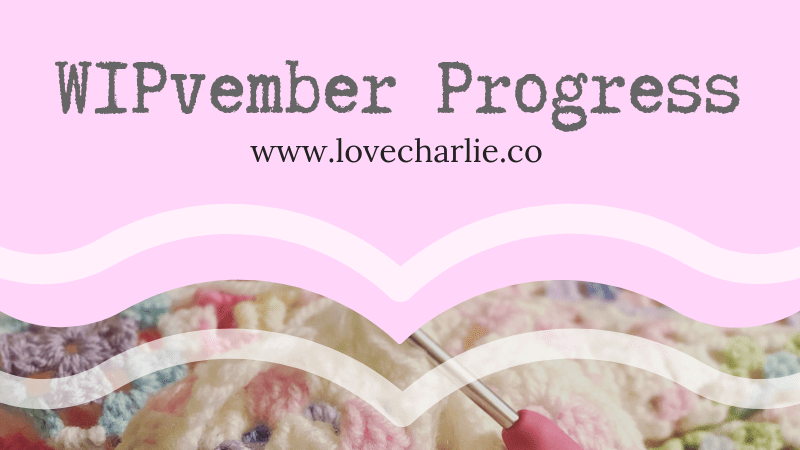 From August on wards, Love Charlie has continued to develop and it is very exciting. I hope 2018 continues with the same momentum. Blogmas No. 6 is the 2nd free pattern in a series of three; showcasing what you can make with three balls of The Women’s Institute Soft & Chunky yarn using Hobbycraft’s 3 for 2 offer. The first pattern is an easy chunky bobble hat… click here for the pattern. This post is the pattern for an extremely easy cowl that can be made within an hour. The chunky yarn is quick to work up and the acrylic/merino blend is very soft and squishy. Perfect to keep you warm through the winter – and a great last minute Christmas present. Foundation. Ch 62. Sl st into 1st ch to make a large loop. Make sure your chain isn’t twisted. This pattern is as simple as it gets so is an ideal project for a beginner crocheter. This pattern can easily be adapted for any size by simply chaining the foundation row as large as you want the circumference, and continuing more than 12 rows if you like more height to your cowl. It can also be made into an infinity scarf by increasing the foundation row significantly. This pattern has not been tested. Please let me know via Instagram or Ravelry if I need to make any ammendments. Pom poms are great aren’t they? But if you love making home-made pom poms, you’ll understand the frustration of not being able to wash them. Bits of wool everywhere! The alternative is either very expensive, or not animal friendly. Here’s my handy tip to make your hand made pom poms detachable so you can easily remove them before throwing your garment in the wash with no damage or worry. Here are my instructions to make a detachable pom pom for your beanie hat. Take your pom pom maker and yarn, and begin to start wrapping your scrap yarn around one half of the pom pom maker (Wrap around both arms). I usually continue wrapping from side to side until the yarn is almost level with either side of the center so that I get a nice plump pom pom. Once you have wrapped one half of your pom pom maker, cut your yarn off and close the first half. Repeat step one for the second half. Cut off and close the second half. Once you have cut around the entire circumference of your pom pom (and there are no strands still wrapped around) you can move to step 5. Check that you haven’t missed any bits hiding in the edges near the hinges. Take a long piece of your yarn and wrap around the pom pom, letting the yarn pull into the grooves. Pull tight and tie into a single knot. Then wrap around the other way and tie a double knot on the opposite side. Pull as tight as you can without snapping your yarn. Leave long tails to sew on your snap fastener. Now you can remove the pom pom maker by holding a disk on either side and gently twist and pull apart to release your home made pom pom. Hold your pom pom by the long strings and use your scissors to give your pom pom a hair cut. I didn’t spend too long on mine as I like a bit of a messy look. If you wanted a perfectly spherical bobble, you could spend hours trimming and making your pom pom neat. (Do this over a bin as fluff gets everywhere) My tip is to only take a little at a time and keep ruffling up the fluff to see where you’re’ up to. Once you’ve cut it, you can’t stick it back on. Sew on one half of the snap fastener to your pom pom using the long tails left over from tying your pom pom together. Tie securely and cut off your ends to the same length as your pom pom ‘hair’. Sew on the other half of your snap fastener to your hat using cotton. I used white cotton here so it would show on the photo. You can use whatever colour you want but I recommend choosing the same colour as your hat or your pom pom so if for any reason it shows, it will blend in. Ta Daaa! You now have a hat with a pom pom that you can snap on and off as you please. Now your hat can be washed whenever, and a new pom pom can easily be added in the event unfortunate event of being dropped in a muddy puddle or getting lost. I hope you liked this little trick. I think it’s great. I’d love to see your photos on Instagram. Use the hashtag #lovecharliecrochetdesigns.